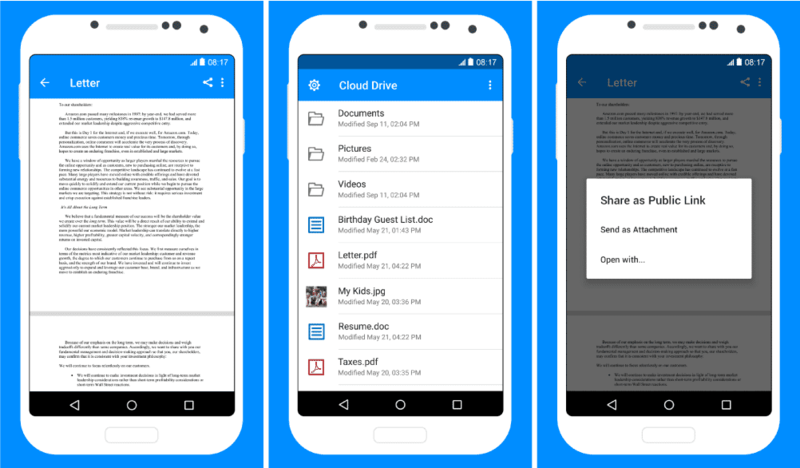 Free cloud storage from Google, Dropbox, Microsoft, and more. Cloud storage is how the business of today works. With all the data stored online, it allows teams the flexibility and accessibility needed to work remotely, from home, on vacation – anytime round the clock. But there are so many free cloud storage services to choose from. Which one to choose? Which one has the most budget-friendly upgrade should you need to scale your cloud storage infrastructure later down the road? Trusted by some of the most successful brands in the world, pCloud is heavy on security and encryption. There is a pCloud Crypto challenge, and $100,000 is up for grabs. In the past 6 months, with over 2,500 participants, no one could successfully hack into the pCloud storage. The Free plan gives you 10 GB of free cloud storage space. This can be scaled up to 2 TB. Talking about accessibility, pCloud is accessible online, and has apps for Windows, Mac, Linux, iPhone and Android devices. There are also plugins for Chrome, Firefox and Opera browsers. For creatives and designers, pCloud integrates with Adobe Lightroom to export and share photo edits directly through the cloud. Dropbox is one of the most famous cloud storage services available for personal and commercial use. And it’s free to get started with. You get a 2 GB free cloud storage space, no questions asked. Now, the initial 2 GB free storage space might seem like a tight fit for those of you who have large files to upload, share and sync, but the simplicity and ease of use won us over and made it the editor’s choice for this roundup of the best free cloud storage services. 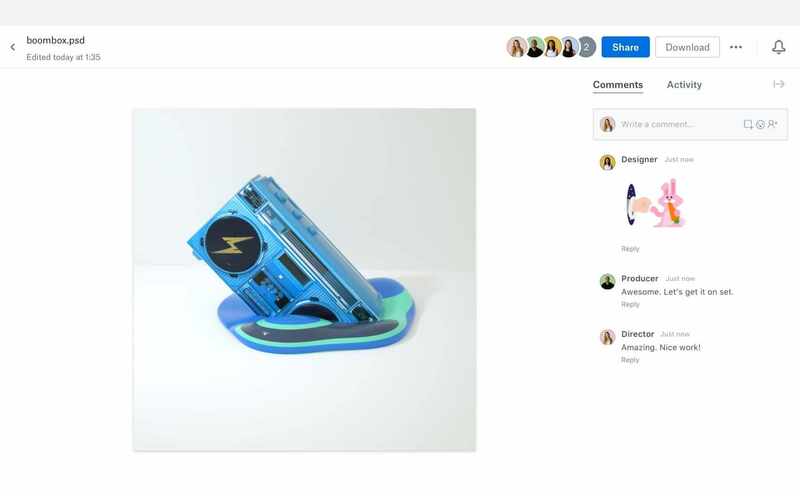 File uploads are quicker than most free cloud storage services and with the document collaboration technology that Dropbox likes to call Dropbox Paper, you really do get a feeling of true workspace collaboration. Dropbox comes with a range of pricing plans for both personal and business use. With more than 2.3 billion active Android devices in the world, it is understandable that Drive is the preferred choice for many when it comes to the best free cloud storage services. And why wouldn’t it be? Google Drive comes with a sizable 15 GB of free storage space, which is ample for both small and large files. Google’s Drive is scalable up to 10 TBs, and the upgrades are quite economic. We will talk about Drive’s pricing plans in a bit. 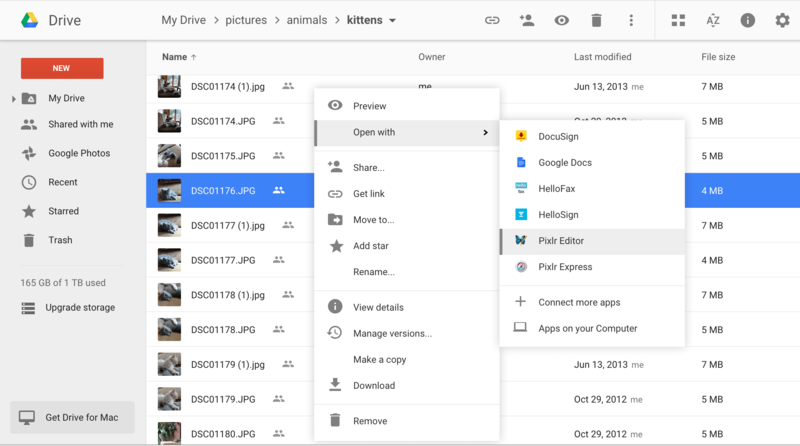 I found document collaboration to be the strongest feature for Google Drive. With Google Docs, creating, sharing and editing spreadsheets, presentations, text documents and more is simple and easy. And you get the stock Microsoft Office-like experience – everything is in place, so you won’t have to spend a lot of time getting your hands on with Google Docs. #4 on our list of the best free cloud storage services is Box, a renowned cloud storage solution with powerful business options. It integrates with Microsoft Office 365 and Google Docs, so you can easily access and edit files using Box and collaborate on the go. Box is a great cloud storage solutions provider. The only downside I saw to their Free plan was the 250 MB file upload limit. Although, Box gives you a hefty 10 GB free cloud storage space, the file upload limit can keep some businesses from using the Free plan as files do tend to exceed the 250 MB file size. Another workaround for this would be breaking down large files and folders into smaller pieces that do not exceed the upload size limit, but that would take additional time and effort. 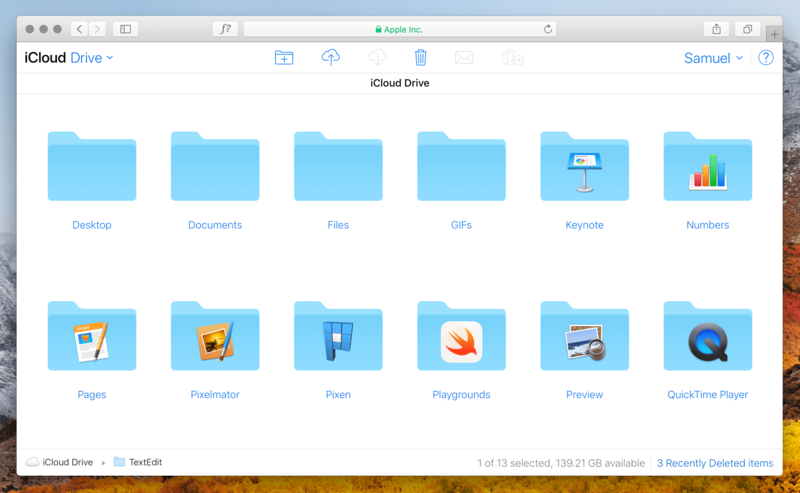 On #5 of our roundup for the best free cloud storage, it’s Apple’s iCloud. Apple iCloud is a file synchronization and storage system based on the cloud. iCloud is a service where users can back up all cloud-based files, including both Windows and Mac computers, and they are automatically synced with all devices they register for the service. 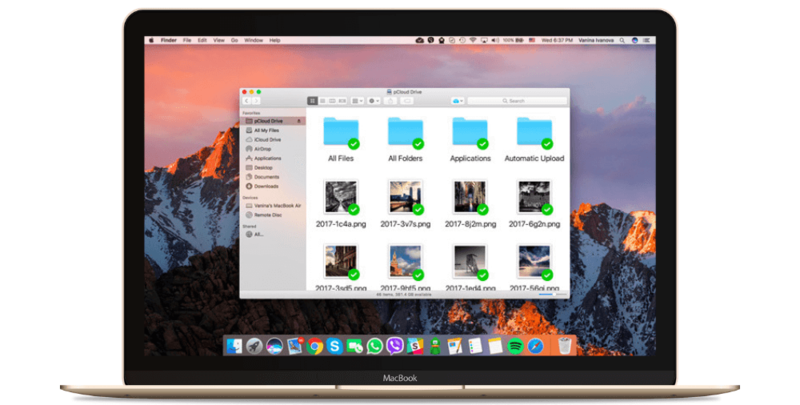 iCloud has a host of offers including the iCloud Photo Library and iCloud Drive, so that all documents, videos, and photos can be securely stored and updated. Sharing family allows you to easily share with all your family members music, movies, photos and more. Apple iCloud also blends with the most popular business systems and apps easily into existing software facilities including HipChat, Pager Duty, Microsoft Office, and iCalendar. 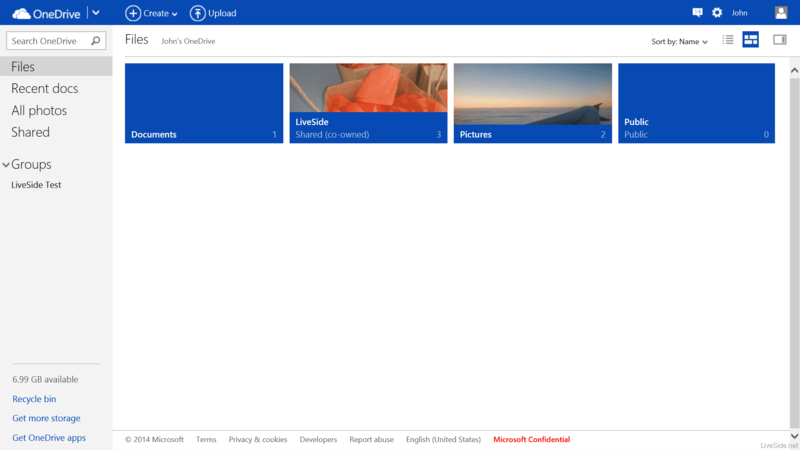 #6 on our list of the best free cloud storage services is Microsoft’s OneDrive. It’s the ideal choice for all Windows users as OneDrive sync is a built-in feature for the new Windows 10, so you don’t have to use anything but your PC to collaborate on the cloud. Microsoft’s OneDrive comes with free cloud storage space of 5 GB, which does not put you in a comfortable spot if you have a lot of files and data to store online. It’s convenient for small entrepreneurs, freelancers and creatives to store work in progress and access files from anywhere. The Android and iOS apps have mixed reviews. There’s also a OneDrive app for Mac users, if you’d like to find an alternative to your iCloud storage. MediaFire will give you around 10 GB of free storage in its basic version. This can be extended up to 50 GB with referrals. 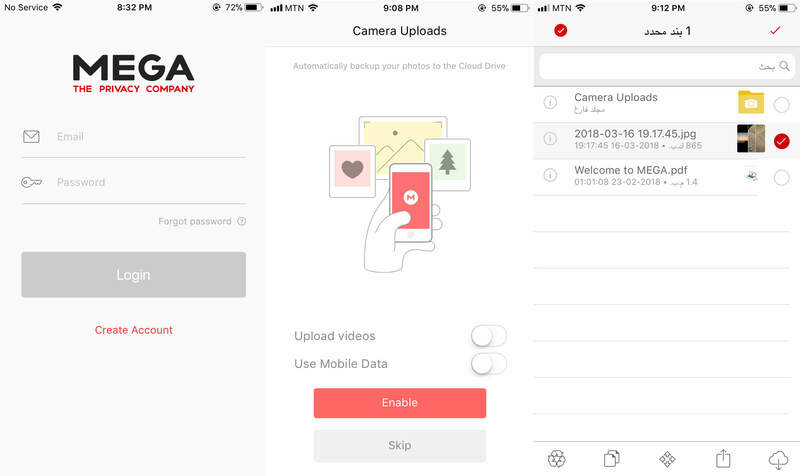 You can share a file, or even a folder with any of your friend or family and the best part is that they don’t need a MediaFire account to access the file. There is a feature, FileDrop, which gives you an option to create a public folder and let you share that folder with everyone who has the link. Help you organize files and store them in a safe place. Either upload file from a browser or you can use mobile to upload file. Instant upload let you upload files without any interruptions. 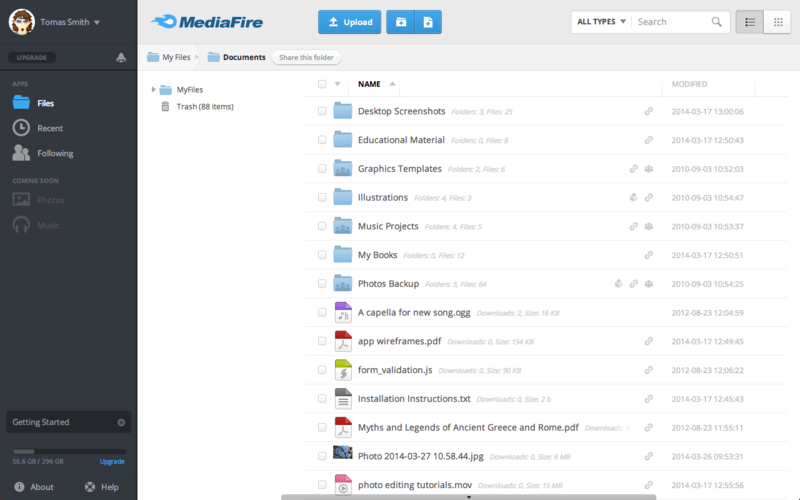 This earns MediaFire the #6 spot on my list of the best free cloud storage. Considered as a replacement of Dropbox, Sync is used by more than 700,000 businesses across the globe. It is also often labeled as the fastest file-sharing software on the internet. Sync is ideal for small and mid-size companies. Sync ranks #8 for this roundup of the top free cloud storage services. Share files with users who don’t even have an account on Sync. The best way to collaborate with your team and get things done fast without sacrificing the privacy rights of each file. You have the power to assign which users can see your files and limit the rest of the users. The users can place files that are not used regularly in a vault where it can be accessed later. The good part is that pricing is half the size of Dropbox and the storage space is more. MEGA is another great contender for our roundup of the best free cloud storage services. If you’re looking for a secure online file storage and sharing service, I believe MEGA would be the right choice for you. While it doesn’t offer you file editing capabilities such as those offered with OneDrive and Dropbox, MEGA makes up for this by offering enhanced storage security and encryption features as well as a sizable file storage limit on the Free plan. You can get up to 50 GB of free cloud storage space with MEGA, should you choose to participate in their achievements program. MEGA claims that any data you upload to their cloud is not accessible by anyone but you. Not even MEGA has access to your files. 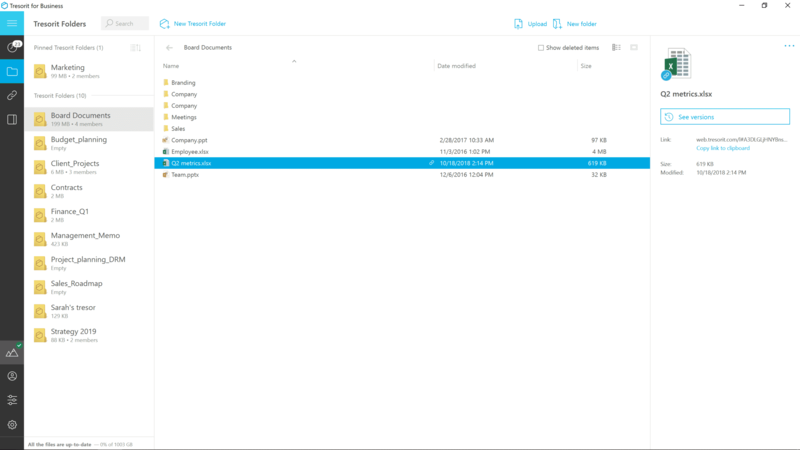 Tresorit will help you store, sync and share files by encrypting files which can keep the data safe. The best option is that software gives client-side encryption which means even if the data is hacked, data by the client is safe. File viewing rights can be revoked or provided with a single click. This earns Tresorit the #9 spot on my list of the best free cloud storage services. 100 GB of secure cloud backup! Do not lose an image or file again. The secure cloud storage of Degoo ensures that you can always download backup files when you need them. Degoo is very user-friendly. You select your backup folders. Then, you can add, edit or delete files from your backup folders. Degoo detects any changes and automatically saves your files. When your computer is enabled, you can turn your computer into a backup and Degoo restarts the backup. Typically, Amazon Drive reviews were not kind. The leader was the lack of a sync function, the core of cloud storage. Much has changed, including its name (formerly known as Amazon Cloud Drive), however, the service has improved with little fanfare. Whether you deserve a first, second or tenth look for Amazon’s cloud storage service will depend largely on your needs. There are still problems with the service, such as a lack of productivity tools and no encryption on the server. It provides a distributed storage benefit for users and offers DatabaGG the ability to transfer documents and files up to 5 GB to its server and access them via an internet browser or mobile telephone. This protects your data from hard drive crashes and document defilements. You can easily drag and drop data into the DataBaGG folder, and from your mobile devices, you can access your files or use the web client. It has a great upload and downloads speed in terms of performance. You can configure it easily to sync your desktop data and have windows software that makes it easy to go. WeTransfer is one of the best cloud storage for photos, media and other files. It does not require a user to register for its free version. The solution differentiates by allowing users when using the free service, to send large files up to 2 GB and for WeTansfer Plus up to 20 GB. It’s a user-friendly online file transfer platform that allows data to be sent without hassle. 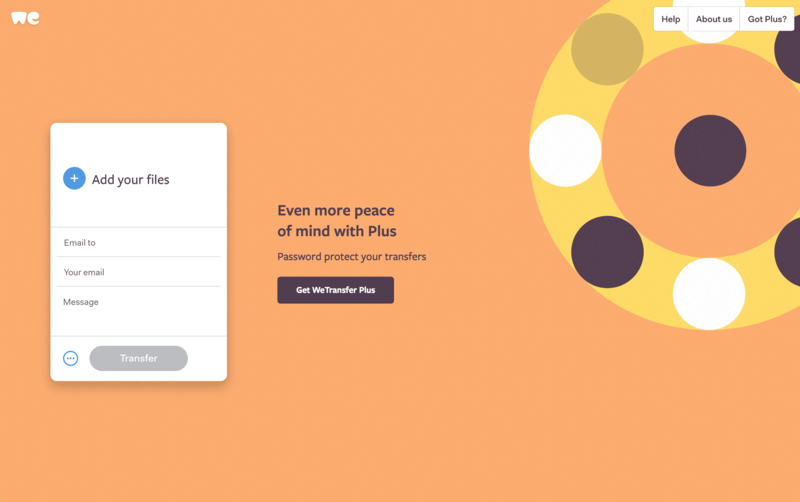 WeTransfer Plus offers full HD videos, vast collections of photographs and other files for transfer. In one attempt, users can transfer a total of 20 GB and keep their files as long as they want. The Plus Service allows you to customize and present customized background and URL downloads. Users can add up to three backgrounds and tailor their emails according to their needs. The Plus version is ad-free and offers customization options, compared to the free version that displays a full-page unobtrusive, creative ad. So, this marks the end to our roundup of the best free cloud storage services in 2019. Which one did you like the most? Which service did you like the least? Let me know your thoughts in the comments below. Glad I could help, Alice. Cheers! Have you tried MyAirBridge? I am really happy with it – but doesn’t get mentioned often. I’d love to read what you think about it. Thanks for your comment, Vala. I haven’t heard of MyAirBridge. I’ll keep an eye out for future roundups. Cheers!